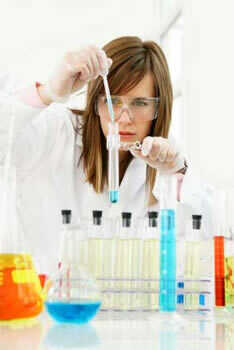 A good lab test will solve everything! You blurt out an insult to your girlfriend, the quarterback throws for an interception, I bought a stock that tanked….if only I could take back decisions I’ve made. We all feel that way at times, but how can a lab test be a bad decision? All doctors order lab test, but if the test has no CLINICAL significance, you risk confusion and more expense. Let me illustrate what I mean. Food allergy is often over diagnosed when it really isn’t present. How does this happen? Lab tests will show a “reaction” to milk, but this is not clinically relevant and milk can be consumed just fine without any symptoms at all! The ImmunoCap test shows that you have IgE to milk proteins, but this test is positive in many adults & children with no milk allergy at all. All the test tells you is that your body recognizes you’ve had milk before! Now of course, if you have allergic symptoms after drinking milk, the positive test is very helpful to confirm the diagnosis, but without the history a test in and of itself should be interpreted with a grain of salt. Imagine the confusion patients have when they are told you have allergy to many foods that they eat all of the time. What other tests can mislead you in medicine? As mentioned above, be careful with blood or skin tests that are positive to foods. You may have a food allergy, but you should have BOTH symptoms when eating the food and a positive test. Sometimes a peak flow meter reading or spirometry (Pulmonary Function Test) will be abnormal but you are breathing just fine. Once again, clinical symptoms trump any abnormal test. When you take care of patients in the emergency room, my heart skips a beat with a “flatline” monitor. Has the patient died, or is their heart no longer beating? No, silly, look at the patient first and you find out the ECG leads have come off the skin because of sweating! Whew.